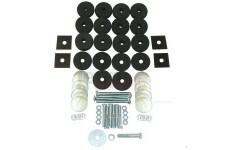 This factory-style body tub mounting kit from Omix-ADA fits 76-86 Jeep CJ models. 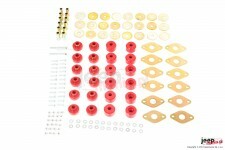 This body tub mounting kit from Omix-ADA fits 41-75 Willys and Jeep models. 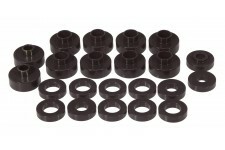 This 14 piece black polyurethane body mount kit from Prothane fits 55-73 Jeep CJ5. 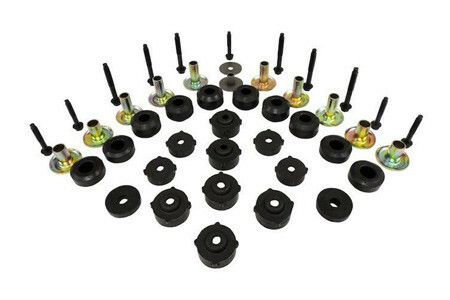 This 22 piece black polyurethane body mount kit from Prothane fits 76-79 Jeep CJ5 and CJ7. 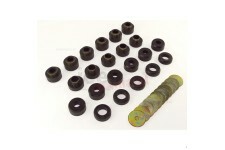 This 22 piece black polyurethane body mount kit from Prothane fits 80-83 Jeep CJ5 and 80-86 CJ7. 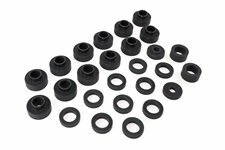 This 26 piece black polyurethane body mount kit from Prothane fits 81-86 Jeep CJ8. 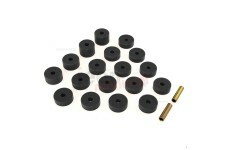 This 22 piece black polyurethane body mount kit from Prothane fits 87-95 Jeep Wrangler YJ. 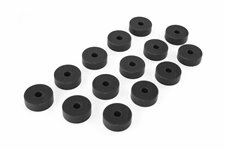 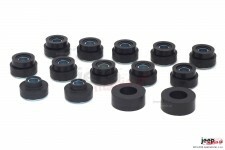 This 22 piece black polyurethane body mount kit from Prothane fits 97-03 Jeep Wrangler TJ. 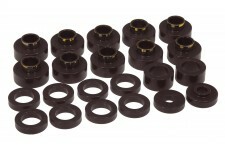 This 18 piece black polyurethane body mount kit from Prothane fits 74-75 Jeep CJ5. 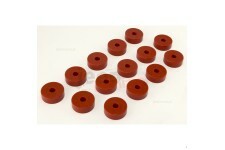 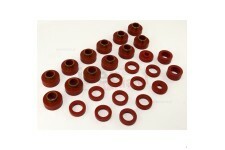 This polyurethane 12 bushing body mount kit from Prothane fits 4-Door 07-18 Jeep Wrangler JK Unlimited. 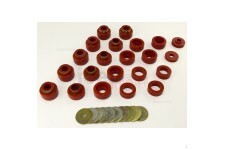 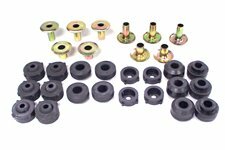 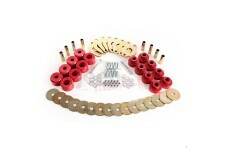 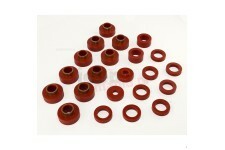 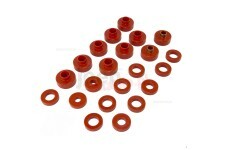 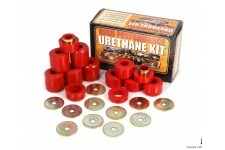 This polyurethane 8 bushing body mount kit from Prothane fits 2 door 07-18 Jeep Wrangler JK.